Put this necklace and remember today is a new day, the newest day you’ve ever lived. 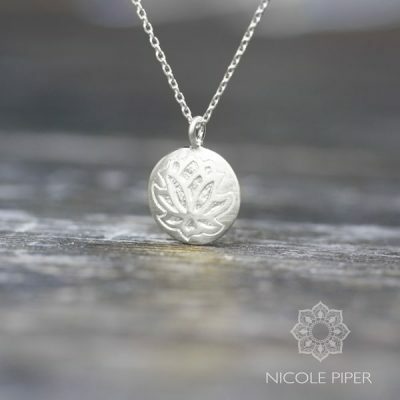 Our Lotus flower necklace symbolize the magic of a new beginning even though you can´t see it yet, and you may be lost in the mud, have faith and know that beautiful times is under the horizon. The lotus flower symbolizes a new beginning, rebirth and the start of something amazing. Only a beautiful lotus flower grows strong out of the mud. This necklace is designed to be a daily reminder to always look inside yourself, and remember what truly matters in your life. In a stressed life, we can quickly lose focus, forget who we are and what we want in life. 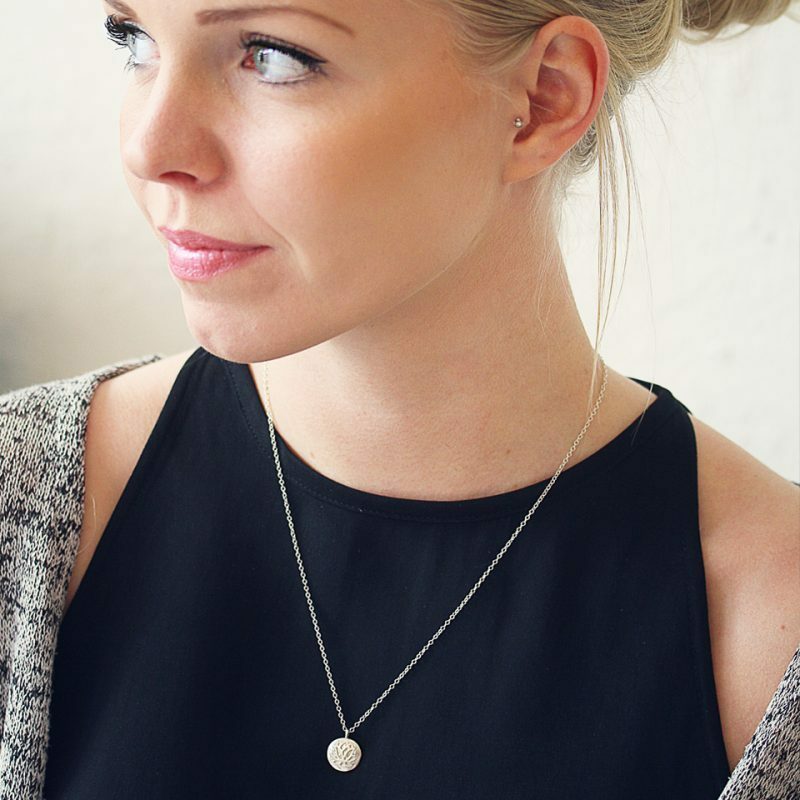 Let the necklace help you keep focused, and remember to take a break and take some ‘I’ time. 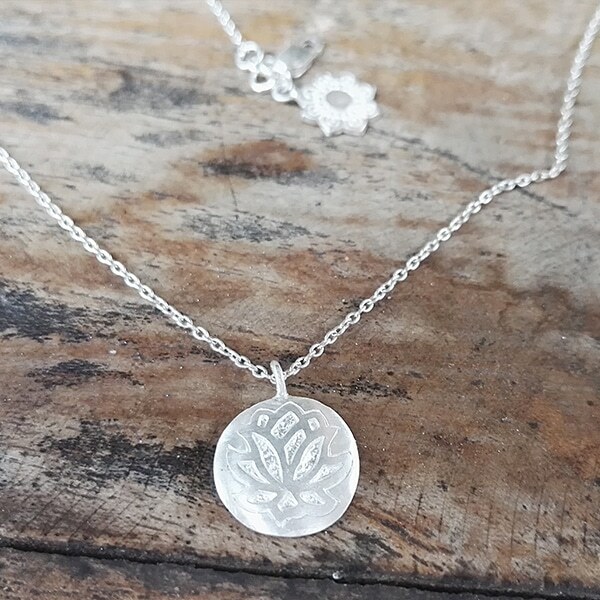 This necklace is simple and adjustable, it is designed with a 1,3 mm round plate, with a delicate lotus flower engraved in it. On the backside of the pendant is the words ‘LIVE LOVE LIFE’ engraved.